Russian conductor Anton Shaburov is a winner of the First International Felix Mendelssohn conducting competition (Thessaloniki, Greece, 2016 – First prize) and of the Third All-Russian Ilya Musin conducting competition (Kostroma, Russia, 2013 – Grand prix and special audience award). Starting from 2017 Anton Shaburov is a principal conductor and artistic director of the Far Eastern State Symphony Orchestra (Khabarovsk, Russia). 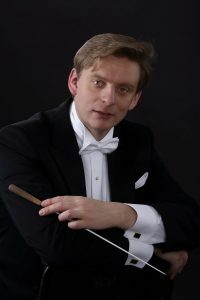 As a guest conductor Anton Shaburov led opera performances at the Primorsky stage of the Mariinsky theatre (Vladivostok, Russia) and concert programs with MAV symphony orchestra (Budapest, Hungary), Ural philharmonic orchestra (Yekaterinburg, Russia), Plovdiv philharmonic orchestra (Bulgaria), Magna Grecia symphony orchestra (Taranto, Italy), Southern Arizona symphony orchestra (Tucson, USA), Philharmonic orchestras of Rostov-on-Don, Samara, Kislovodsk and many others. Since 2015 Anton Shaburov became a permanent guest conductor of the Omsk chamber orchestra. Professional conducting career started at 2009 when Anton Shaburov became a Permanent Guest Conductor of the Globalis International Symphony Orchestra in Moscow and a principal conductor and artistic director of the Ural State Mussorgsky Conservatory symphony orchestra in Yekaterinburg. During his activity as a principal conductor Anton Shaburov led more than 40 concert programs and several festivals dedicated to Rachmaninoff, Liszt, Tchaikovsky, Shchedrin, Zolotaryov. Simeon Georgiev Venkov was born in Sofia. 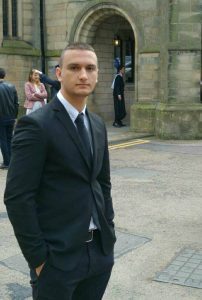 He graduated the National Music School “Lyubomir Pipkov” with a piano specialty under Dr. Yavor Rusev. Currently he is a student in the 3rd grade at the National Academy of Music “Prof. Pancho Vladigerov “under Professor Ilia Chernaev. As a pupil and student she is actively appearing in competitions such as Sheet-Bartok, International Competition for Young Pianists Gevgelija – Macedonia and others. He was director of the main orchestra and guest in important international festivals and concerts performing in several theaters: Roman Theatre, Teatro Calandra, Teatro Vittorio Emanuele, Auditorium Sant’Agostino in the city of Benevento; St. Clare, Palazzo Bianco (NATO headquarters), Piazza Plebiscito in Naples; Italy Teatro and Teatrodell’Opera in Rome; Main Vittorio Veneto Theatre; Aula Magna of the University of Molise, Campobasso Studies; (ITALY) – Aula Nervi and St. Peter’s Basilica; (CITY ‘OF THE VATICAN) – Castle Hall Llahol city of Prague (CZECH REPUBLIC) – Teatro Municipal of Lima; (PERU) – Teatro Carlos Gomes of Praia da Victoria Azores; (PORTUGAL) – National Theatre of Barcelona Puerto La Crus; (VENEZUELA) – Theatre of the state TV Tirana; (ALBANIA) – Opera Pazardijk; (BULGARIA) – Grand Theater in Beijing, Nanchang, Pingxiang, Liuzhou, Nanning, Kunming, Yuxi, Jinan, Lishui, Wenzhou, Zhoushan, Xiamen, Shaoxing, Tongxiang, Dalian; (CHINA). He is principal conductor of Baohong SHANGHAI CULTURE COMMUNICATION Co. Ltd., in collaboration with the Chinese Government, the protagonist of two years in a series of concerts in major cities CHINA; tour 2015/2016 and 2016/2017. Coming to the IV Edition is the creator of the International Symphonic Music Festival in the City of Benevento. At the head of these artistic ensembles organizes and promotes annual concert seasons with appointments and symphony concerts, opera, sacred, chamber and contemporary working with various artistic and cultural formations of the national and international scene. And ‘it engaged in the dissemination of music among the younger generation with some concerts and open rehearsals, themed lessons, dedicated to children and not. He is Artistic Director of XL Solopaca Flower Festival 2017. He is President of AMI (Association Mozart Italy) headquarters of Benevento, in collaboration with the prestigious Mozarteum in Salzburg – Austria. He is winner of the Competition Ordinary state conservatories having overcome all evidence relating to competitive examination and chair securities and places in the Conservatories of Music. 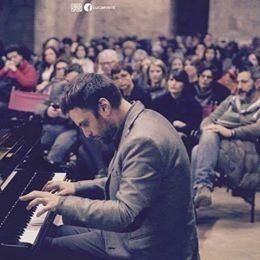 Gianfranco Pappalardo Fiumara (born July 2, 1978 in Catania, Sicily) is an Italian pianist, specializing in baroque performance under the influence of Rosalyn Tureck.He is a graduate from the Milan Conservatory, has performed as soloist at Carnegie Hall in New York in 2006at the Sala Giuseppe Verdi in Milan,Teatro Massimo Bellini in Catania,Palazzo del Quirinale to Rome. He played monographic programs devoted to J.S. Bach solo at the Chapel of the Good Shepherd, at Notre-Dame Basilica located in Montreal, at room Glenn Gould in Toronto,North Cyprus Bellapais Festival Nicosia and in various parts of the world in Canada, Europe, Japan with orchestras including the Symphony Orchestra of Sicily, the orchestra of the Teatro Bellini in Catania and the Orchestre Philharmonique du Nouveau Monde in Montreal, the Philharmonic Bourgas Opera, the Chamber Orchestra of Ascoli Piceno,in Mexico with the Orchestra of the State Government of Mexico.He is artistic director of The Etna In Scena in Zafferana Etnea, of the International Music Atelier of Catania, University of Enna Koreand professor at the Conservatory of Palermo.He is the author of historical publications on W. A. Mozart and its relationship with freemasonry and the theory of music education in particular. 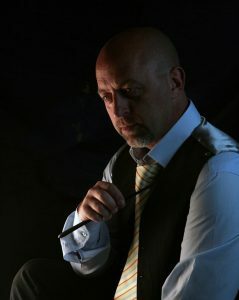 He has recorded for RAI in Rome, and the Quebec National Radio.